Situated in a world class geological setting, significant capital & over 80,000m of drilling has been invested historically in advancing the project. A board with a proven track record of success in gold exploration, development and production. Well funded with a strong balance sheet, no debt and solid institutional ownership. 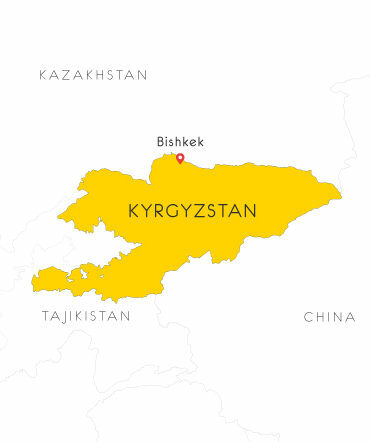 Kenadyr Mining is a high-grade gold exploration and development company that has a strategic land package contained within a world class geological setting in the Kyrgyz Republic. The Company trades under the symbol KEN on the TSX Venture Exchange. 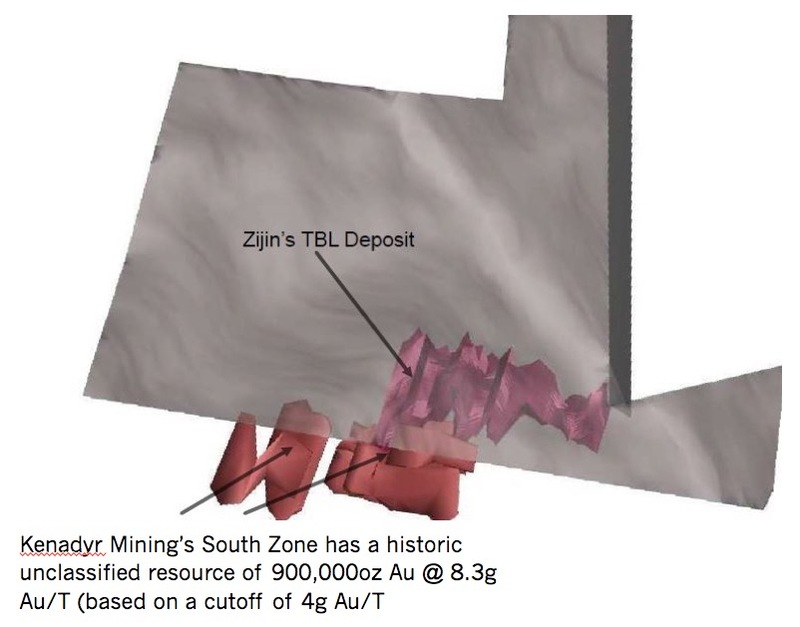 Kenadyr’s Borubai project contains a historic estimate of approx 900k oz at 8.3 g/t Au contained in the South Zone (connected to Zijin’s TBL deposit). Kenadyr Mining is the only junior company that has connecting mineralization to a producing mine that is owned by a Super Major – Zijin Mining – China’s largest mining company. 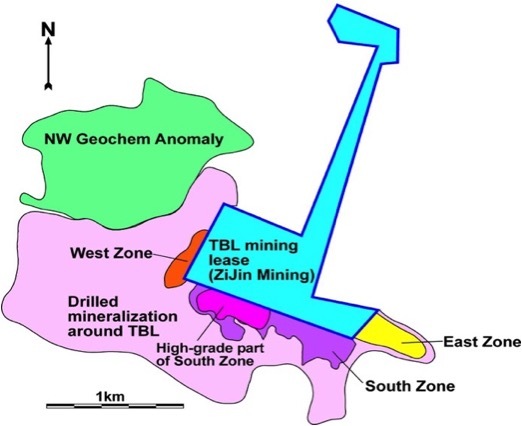 Kenadyr’s property fully surrounds Zijin’s newly built and producing TBL Mine and shares connecting mineralization to the TBL via the Company’s Borubai project South Zone. Significant capital has been invested historically in exploration and definition of the mineralization on the property. Kenadyr has a diverse management team with extensive local experience as well as a proven track record of success in gold exploration, development and production, along with significant Merger & Acquisition experience. Kenadyr is well funded with a strong balance sheet, no debt and a solid institutional ownership base.